Irene Lai turned 100 in Janurary 2013!! She is an avid LTK student at Kahala Mall. 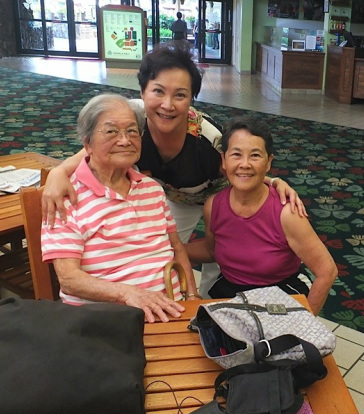 Click here to learn more about Irene Lai and see her doing Luk Tung Kuen. List of health benefits for each of the 36 Luk Tung Kuen movements. Cross hands – reduces stomach fat, improves elasticity of the joints of hands and fingers, cures rheumatism. Turn over hand – improves nerves in the hand aimed at the acupoints in the hands, improves blood circulation. Towards sky and towards ground – improves the blood vessels on both sides of body and stimulates acupuncture points. Windmill – improves complete circulation of blood in your body, reduces belly fat and improves back bone.